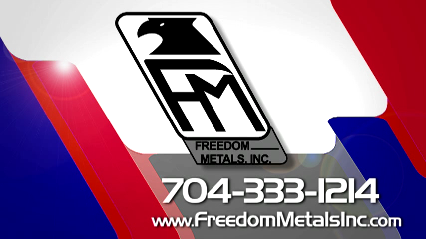 Freedom Metals Inc. has been proudly serving Charlotte and surrounding areas since 1982, providing quality metal products and superior service. Freedom Metals, Inc. can offer you the raw materials needed for you to complete your next project, as well as a wide range of related services from machining to complete custom fabrication. At Freedom Metals Inc., we understand the importance of project timelines and the need to have a reliable source for raw materials. We work hard to provide our customers with the products and services they need, when they need them. Whether your requirements are simple or complex, we take pride in serving you and your company.